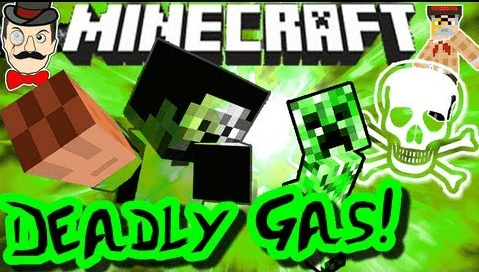 Home » Minecraft Mods » Deadly Gasses Mod 1.6.2. The Deadly Gasses mod for 1.6.2 adds new gasses to the game. These gasses can be found in pockets undergrounds and make mining more challenging. It also adds hot steam and smoke. When properly handled, these gasses can be harvested and used as a powerful fuel source. 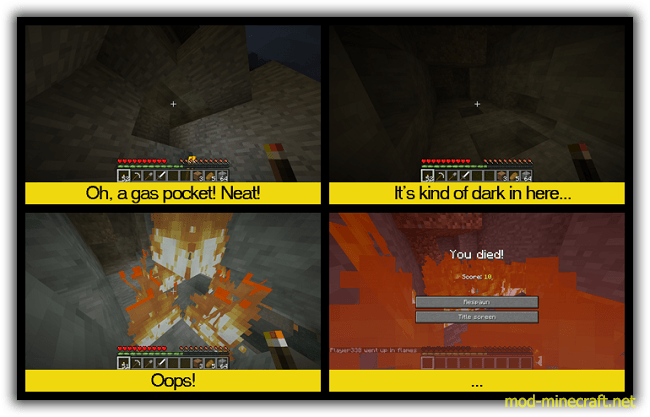 Certain types of gasses will explode when exposed to torches. Lanterns will not cause the gas to explode. You can place torches, bottles of gas, or Glowstone inside. 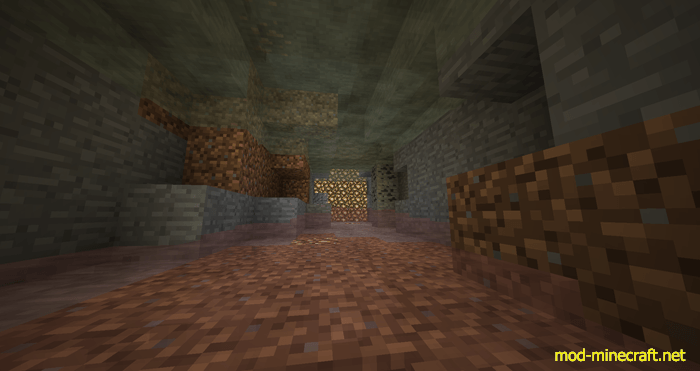 Glowstone is the only type of fuel that doesn’t run out. 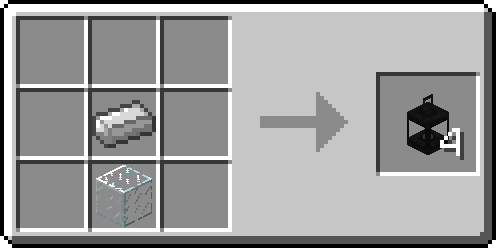 Drag the Armor Movement Mod .zip file into the .minecraft/mods folder. Select Use Version and then select the version of Forge that you just installed.